Strength and durability meet brute power, the Volution Thor 200. 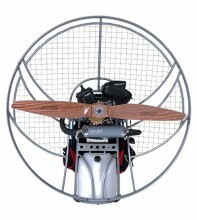 This is an excellent setup for pilots wanting a strong paramotor and need the extra power. •Lightweight, high-tension chassis design helps improve power-to-weight ratio for enhanced handling and in-flight manoeuvrability. •High-tension, wide profile aluminium uprights for unmatched rigidity and impact resistance. •Adjustable low hangpoints, manufactured from aluminium billet for strength and rigidity, give precise and responsive handling. •Unique pivot arm lock-in system – utilises the cage as a secondary lock for the pivot arm giving unparalleled levels of safety. •Fitted with the new Parajet Lightweight Harness for improved comfort and safety. •Extruded aerofoil tubing offers strength and superior airflow. •Unique cage connection system enables dismantling in seconds. •Netted or aluminium cage configuration. 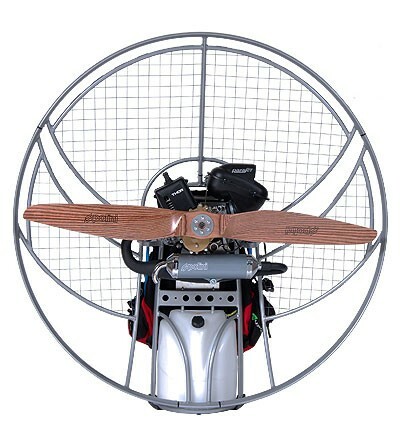 Click the button below to add the Parajet Volution Thor 200 Paramotor to your wish list.